As the annual enrollment period begins, it is a good time to examine the difference between Original Medicare, Medicare Supplements and Medicare Advantage. Let’s start with original Medicare. That is a plan by the Federal Government to people 65 and over (you can also qualify if you are under 65 if you are disabled). A nice plan, but it does not cover everything. There are “gaps” in the plan. Enter Medicare Supplements or Medigap coverage. They are the same, designed to cover the “gaps” in Medicare. With Medicare supplements, they are offered by private insurance companines, but unlike individual plans for under age 65, these are the same with every carrier. In other words, “PLAN G” is the same with Mutual of Omaha, as it is with United National Life, as it is with Blue Cross and Blue Shield. So you do not have to think well Blue Cross is better coverage or Aetna’s plan is better, they are the same. There are different plans that cover more or less. For example “PLAN F” pretty much covers everything. PLAN G, covers everything EXCEPT for your outpatient deductible which is $162. Of course, the more coverage, the more premium. Now let’s talk about Medicare Advantage. Medicare Advantage plans, sometimes referred to as MA plans. These are also offered by Private Insurance Companies, but they get some funding from the Federal Government. These plans vary from County to County as far as what is offered and the premium. In some counties, you can get a $0 premium plan. Some it is $100 for the same plan. A plan might be offered in say Will County, Illinois, but not in DuPage County. It varies that much. Also, often times the Out of Pocket Maximum is significant. Some plans are $6700 out of pocket, some are $3000 out of pocket. That might be the biggest question to ask is what is my Out of Pocket Maximum on this plan. Then could I afford that if something happened. Also with Medicare Supplement, your doctors and hospitals will accept the plan if they take Medicare Patients. With a MA plan, depending on your plan, the doctor could treat you today and not tomorrow ( normally that is with a Private Fee For Service (PFFS) plan). I would say a Medicare Supplement Plan is better coverage in Every situation, that being said premium sometimes can force you to a Medicare Advantage Plan. If you only Original Medicare because you cannot take on the premium of a supplement, then the MA plan is a good way to go. Medicare Advantage plans are often times know as Medicare Part C.
Prescription plans are know as Part D. Some MA plans come with Part D, normally known as a MAPD plan. Supplement plans do not come with Part D and need to be added. Before purchasing a Part D plan you should ask your broker which Part D plan covers you the best. Each of them are slightly different either by premium or classification of the medicine. I hope this helps. If you ever have a question on Medicare please give me a call! 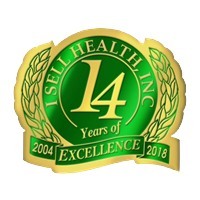 Eric Wilson is President of I Sell Health Inc. A Chicago area insurance agency. He can be reached toll free at 888-448-5370.